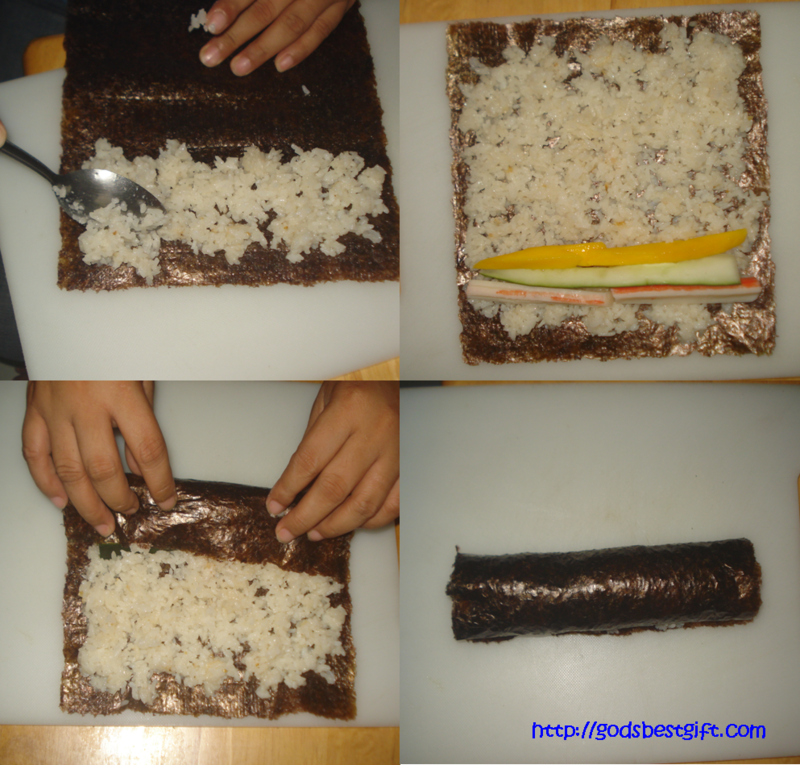 Our very first attempt was a failure because of the wrong nori (seaweeds) sheets size we bought. It was very disappointing but of course we did not give up. Last night we tried again and it was a success!! I love California rolls. With the wasabi. 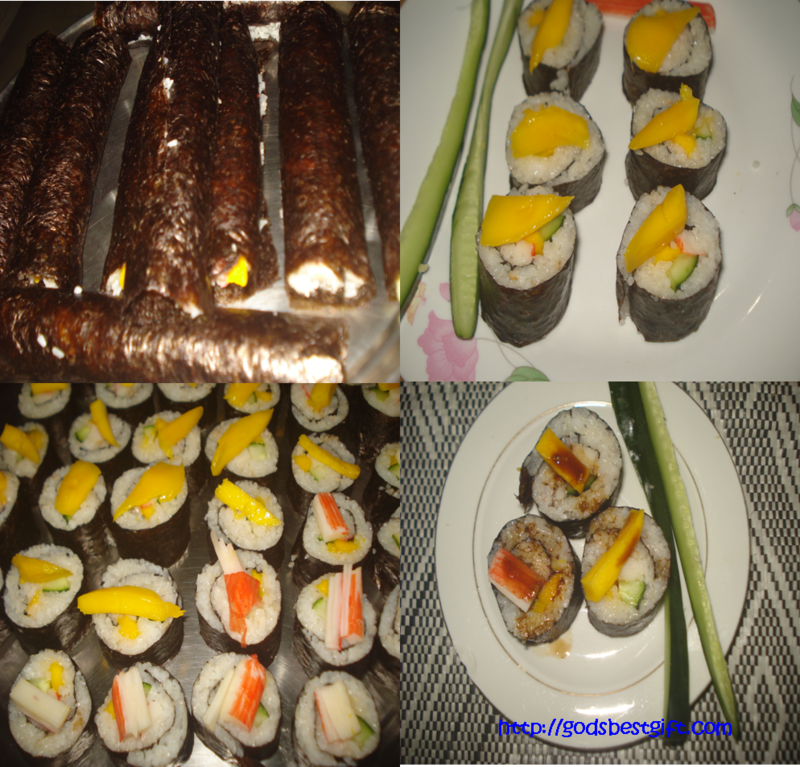 Hubby likes the raw fish ones and I like the veggies. Oh so good.